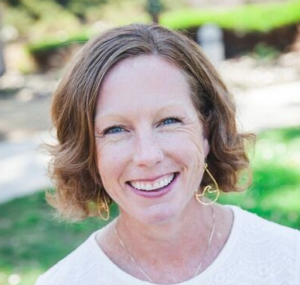 Since September 2015 Kate Roberts has been the President of the Monterey Bay Economic Partnership (MBEP), a regional nonprofit, membership organization consisting of public, private and civic entities located throughout the counties of Monterey, San Benito and Santa Cruz. MBEP’s mission is to improve the economic health and quality of life in the Monterey Bay Region. Prior to joining MBEP, Ms. Roberts spent seven years running her own independent management consultancy, The Wired Woman, that helped organizations solidify strategies and accelerate growth. Over her 25 years in the high-tech industry Ms. Roberts held leadership positions in sales, marketing, partner management, and corporate social responsibility. 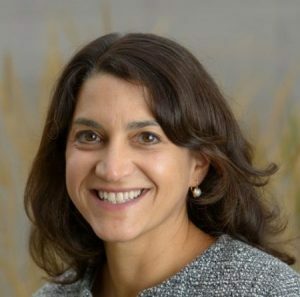 She spent a decade at Cisco Systems, Inc. leading strategic initiatives and creating successful partnerships with the United Nations, USAID and other global partners to further tech education and workforce development in the developing world. 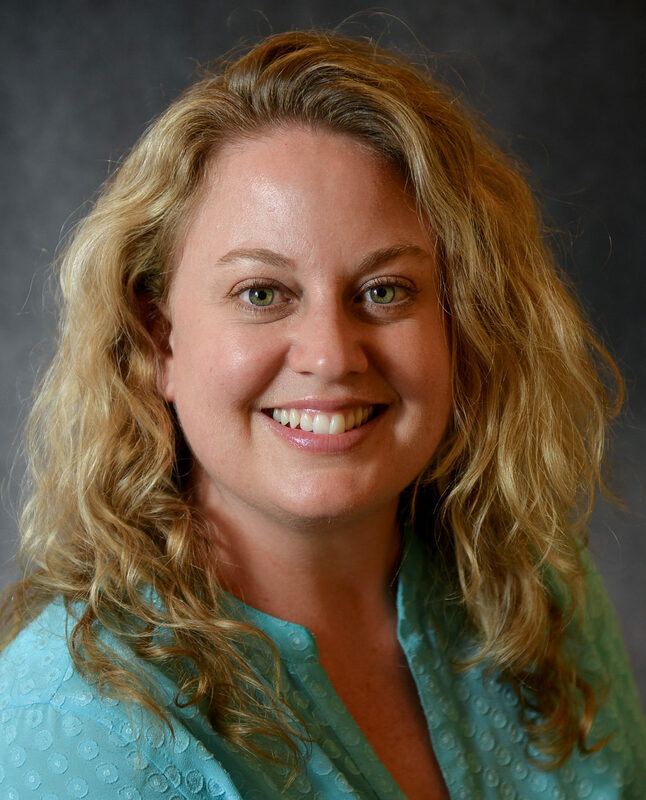 Kate’s varied nonprofit board experience spans both the social and environmental spectrum at the regional and national level. As a volunteer ambassador with Save the Children, she led a women’s empowerment delegation to Ethiopia and Uganda, and climbed Mt. Kilimanjaro with CARE to raise funds and awareness for their community-based programs in Tanzania and Zanzibar. She is an active community member, supporting a number of social and environmental causes. Kate graduated with honors from the University of California at Irvine and received a post-graduate certificate in cross-sector partnership from Cambridge University in England. She is an avid traveler, speaks 4 languages, is an award-winning photographer, an accomplished knitter, and an intrepid hiker. A native Californian, Kate lives in Santa Cruz, California with her husband of 26 years, Buz Roberts. Jessica is an experienced business professional with a diverse background in manufacturing, retail and agriculture. Her experience is in project management, process improvement, logistics, supply chain management and finance/accounting. When her two children were babies Jessica owned a personal training business focusing on helping new mothers with their exercise/nutrition goals. As her children grew she pursued her MBA while continuing to teach local fitness and nutrition classes here in our community. Jessica enjoys volunteering for a local education foundation, coaching her son’s soccer team, surfing, yoga, snowboarding, running along our beautiful coast, hiking and cycling around town. With years of experience in philanthropy she truly believes in being the driver of positive change when it comes to our environment and community. Jessica has lived in Santa Cruz since 2011 and has earned her MBA in International Business with an emphasis in finance. Freny Cooper has spent over 25 years in high tech, specializing in marketing communications, marketing operations, strategy and business planning. 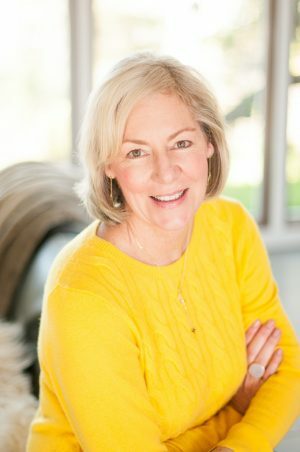 Over her consulting career she has worked with large clients such as Apple and Cisco as well as numerous start-ups, both in Silicon Valley and Santa Cruz County. other boards focused on education and ocean conservation. Studies, and also holds an MBA from the University of Southern California. 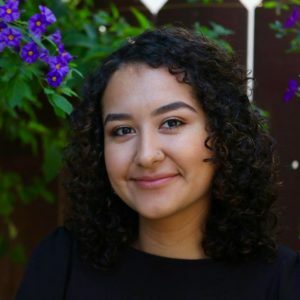 A proud Salinas native, Alexia feels a strong connection to the Monterey Bay Region and the people who live here. Having graduated from Hartnell College, she is currently working toward completing her Bachelor of Arts in Politics at UC Santa Cruz. While at Hartnell College, she served as Vice President of the Sociology Club where she worked with local leaders to increase student advocacy and previously served on the Monterey County Civil Rights Commission. Today she remains deeply invested in her community and in her free time can be found enjoying the outdoors with her four rescue dogs. Alexia is thrilled to be part of MBEP’s housing initiative and looks forward to working towards creating a better region, ensuring all who call our community home can live in one. Raised in one of the most multi-cultural and geographically isolated population hubs on earth, Ashley realized the importance and value of community early on. She went on to deepen her sense of community in San Francisco, where she earned her BA in Bio-Psychology and Minors in Public Service and Philosophy. She holds Certificates in Business Administration and TESOL amongst others, has studied and volunteered across three continents and helped launch social enterprises in Cambodia to support education and economic empowerment. 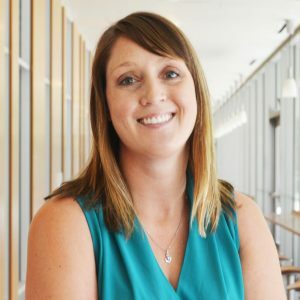 Ashley has a longstanding history in international education, non-profit administration and program management working with a diverse set of stakeholders in both urban and rural settings. Currently, Ashley is in her final semester at the Middlebury Institute for International Studies at Monterey (MIIS) where she is pursuing a dual degree in International Education Management and Public Administration. She serves on the steering committee for MIIS’ Fair Trade Club, Sustainable Monterey and a new ‘community capital’ initiative, Hatch Monterey, with the City of Monterey. 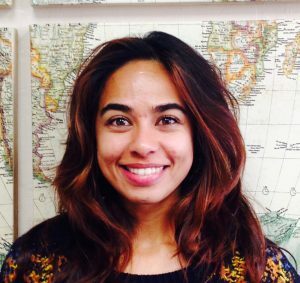 Additionally, she is a Program Design Consultant for Global Majority and Micro-Enterprise Consultant for CA FarmLink. An ongoing student of Earthship Biotecture and Raw Food Education, Ashley is an advocate for radically sustainable buildings and whole nutrient-dense food. She is a maker of sorts, and loves barefoot boogies, yoga, thrift stores, and bamboo. She also enjoys running and taking photos in her backyard, beautiful Pacific Grove. Ashley values conversations and experiences that spark innovative, entrepreneurial ideas to solve some of the most pressing issues of our time. It is in her blood to connect and engage people, especially our youth. She has a passion for social change organizations, and is excited to support MBEP’s Workforce Development Initiative! 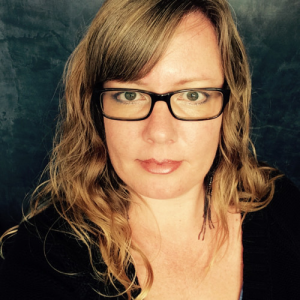 A California native, Jessica has over 8 years of experience in the non-profit sector. A strong desire to become more involved in the community she has called home for 28 years drew her to the Monterey Bay Economic Partnership. With a background in graphic design and event planning, she is excited to be apart of the MBEP team and use her marketing skills to help spread awareness of community events that are creating social change. In her free time, Jessica likes to design jewelry and spend as much time as possible outdoors exploring the trails of the Santa Cruz Mountains. From selling chewing gum door to door as a child to help his family make ends meet, to serving as a consultant to local and international organizations and governments in Japan, Peru, Mexico, and Rwanda, Rafael has worked in many fields. 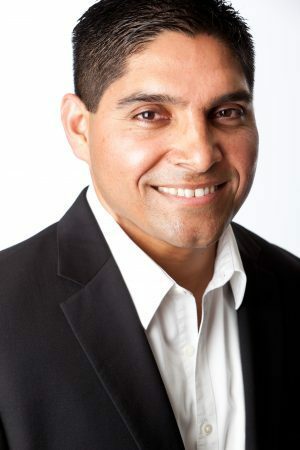 He has been an auto mechanic, a construction worker, a librarian, a production and camera assistant in the film industry, a tax credit consultant, and a simultaneous interpreter for social justice organizations throughout California. He lived and worked for five years in Japan as an educator, interpreter, and liaison between the South American immigrant community and Japanese public officials interpreting between Japanese, Spanish, Portuguese and English. In all of these occupations he was always advocating for the rights of poor people and immigrants. 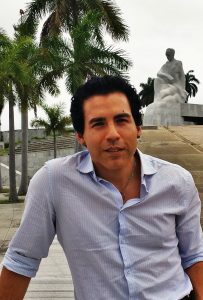 Over the course of his graduate studies, at the Middlebury Institute of International Studies at Monterey (MIIS), Rafael customized his Public Administration degree by working on various research projects in 5 different countries utilizing a mixed methods approach. While at MIIS, Rafael was a volunteer teacher for gang youth at Rancho Cielo, taught self-defense classes – including women’s self-defense, worked as a digital media consultant to students and faculty at the Digital Learning Commons, worked as an advisor to the MPA program faculty, and ran a small business restoring decks and teak furniture. After graduating, he worked as the program director for Read to Me Project, an organization which brings an innovative early literacy program to the Salinas Valley. He also teaches Sociology part time at Hartnell college. He was recently on the Board of Prospera, an organization in Oakland that supports Latina entrepreneurs, where he currently serves as an advisor. In all of his work and life experience, he sees housing as the road to either success or to struggle. MBEP’s Mission Statement fuels his conviction that the “lottery of birth” should not determine people’s chances to create a good life for themselves and their children. Rafael earned his B.A. in Sociology from the University of California at Berkeley. He is an Education Pioneers Fellow, an award-winning documentary filmmaker, and holds a Certificate of Development Project Management from the Middlebury Institute. He is an avid practitioner of Brazilian jiu-jitsu, boxing, and mixed martial arts. He likes designing websites, working on his truck, and loves writing poetry and performing freestyle rhymes. Above all, he is a passionate father whose favorite thing in the world is loving and raising his baby son. Matt engages in several volunteer activities including serving on the Boards of the Nonprofit Housing Association of Northern California and California Coalition for Rural Housing. He earned a B.S. in Community and Regional Development from the University of California at Davis where he also served as the President of the Associated Students during his senior year. Matt has lived in Salinas since 2005. He enjoys exercising, playing basketball with friends, and spending time outdoors with his wife Diana Huerta and four young children. A long-time resident of the Silicon Valley, Melanie McNulty recently moved to the Monterey Bay Area bringing with her over 25 years of integrated marketing experience in the high-tech industry. Intrinsically curious about the science of the oceans, astronomy, and nature, she is an avid reader, artist and dog lover–often competing in dog agility trials in central and northern California on the weekends. Hayley is a Santa Cruz native with over 7 years experience in education, career services, job development, and student counseling. Prior to joining MBEP, Hayley worked at UC Santa Cruz for over 5 years, serving students in various positions; most recently as an internship and job placement coordinator with the Economics Department. Her work experience also includes positions as the job development specialist with the UC Santa Cruz Career Center in 2012 and career development specialist with special education students at Santa Cruz City School District. Hayley has a M.A. in Education Counseling with a focus in career services from San Jose State University, Bachelor of Arts in Sociology and Dramatic Art from UC Santa Barbara, and an Associate of Arts from Cabrillo College. She is a volunteer with Mountain Community Theater, located in Ben Lomond, CA and Project Pajamas with Twin Lakes Church in Aptos, CA. She loves spending time with her friends and family, which includes her 7 nephews and 1 niece, and hiking in the Santa Cruz Mountains! Maya grew up in Mendocino, CA, a very small and close-knit community. As a child, she had the opportunity to live overseas and travel the world before the age of 10. These experiences taught her the value of different cultures as well as the struggles that many in this world face. Maya attended Humboldt State University and received a Bachelor of Science in Marine Biology, which is what brought her to the Santa Cruz area in 1998. She never worked a day in the Marine Biology field, but has enjoyed a 15-year career in event planning and hospitality. She is excited to be a part of the MBEP team, making a positive difference in our community and facilitating upward change. Meet our Student Ambassadors. Student Ambassadors are leaders and role models at each college campus who help educate the community on the college and career resources offered on Monterey Bay Career Connect. Each cohort gets the opportunity to inform and inspire emerging young professionals, and offer unique professional development opportunities to students across the Monterey Bay region. Learn more about the Student Ambassador Program; interested students are encouraged to apply on Monterey Bay Internships.